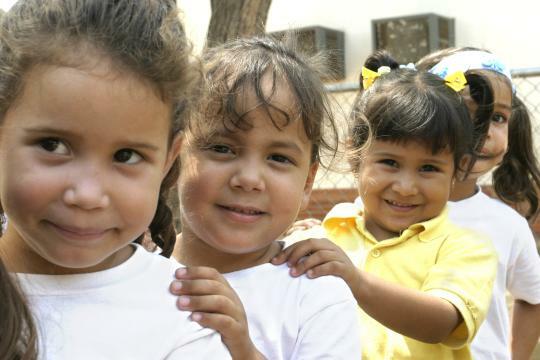 SOS Children's Villages in Venezuela started supporting vulnerable children in the Maracaibo region in 1978. Since then, we have increased our activities in the country and are currently working in four locations. The discovery of massive oil deposits in Lake Maracaibo in the early 20th century transformed the country's economy and had a significant impact on Venezuela's weight in the global political arena. Recently, however, the situation has changed, and Venezuela is going through a time of great uncertainty. As the price of oil has fallen drastically, the government invested less in its social programmes. This has had serious consequences for many families. The number of people living in poverty has increased in recent years and a 2016 study concluded that 82 per cent of households were poor. More and more families are struggling to feed their children and buy basic goods. The prices are rising constantly. To make matters worse, many basic goods are scarce. When they are available, people have to queue for hours in order to buy food, diapers, soap, toilet paper and other necessities. There is likewise a shortage of many medicines, even in hospitals. Venezuela is an extremely dangerous country: it has one of the highest numbers of violent deaths in the world. Around 28, 470 people were murdered in 2016. Violence is high in all cities, but Caracas is particularly unsafe. Around 10.3 million Venezuelans are under the age of 18. Every aspect of children’s daily life has been negatively affected by the recent fall in the standard of living. Although practically all children enrol in primary school, not all finish it. The number attending secondary school drops significantly: 43.3 per cent of girls and only 29.5 per cent of boys actually go to high school. Young people, even those who have completed their education, often find it hard to find a job due to the high levels of unemployment. In spite of efforts to end child labour, around eight per cent of children between the ages of 10-15 continue to work. Some of these children are forced to work to survive; others do so to support their families. In Venezuela we support families who are at risk of breaking down and give loving homes to children who have lost parental care. Family strengthening: The SOS Family Strengthening Programmes started in 2002. We work directly with communities to empower them to protect and care for their children. Collaborating with local agencies and authorities, each family strengthening programme provides different services which can include day care for young children, training so that parents can set up small businesses, and workshops on child protection and health care. 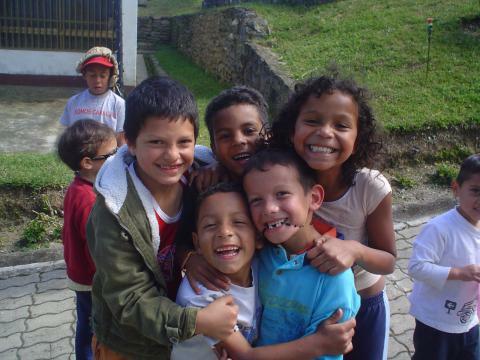 Care in families: Children who have lost parental care can find a home in SOS families in SOS Children’s Villages Ciudad Ojeda, La Cañada and Maracay. Brothers and sisters grow up together and are cared for by an SOS mother, who ensures that they receive the support they need. Children go to local schools and take part in neighbourhood activities which ensures that they are well integrated into the community.